You are here: Home / Articles / Renato Sanches to return to Bayern Munich? Renato Sanches to return to Bayern Munich? 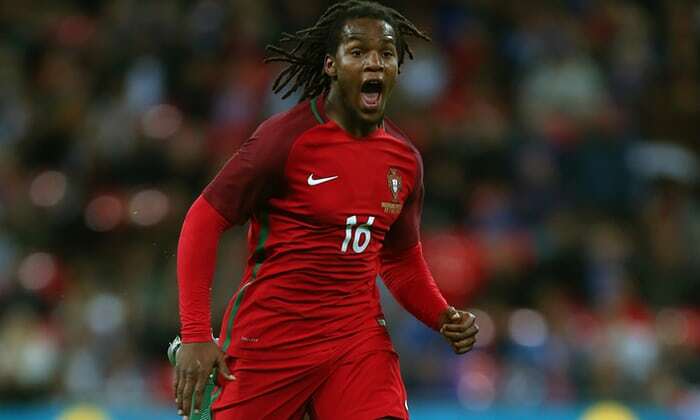 After what can only be described as a bitterly disappointing loan period thus far for Renato Sanches at Swansea, Portuguese news sources are reporting that the 20 year old could well be on his way back to Bayern Munich in January. Unfortunately for the player and for the Swans, the euphoria that surrounded Sanches loan signing back in August, failed to materialise into performances on the pitch and manager Paul Clement was left to defend the Portuguese international amidst fierce criticism from pundits and fans alike. With the crucial Christmas fixture period fast approaching, the Swans will hope Sanches can find some form and feature in the match previews for the weekend action, as a key man to watch for Swansea’s Premier League opponents. One sticking point for any return however could be that Sanches has already effectively played for two clubs this season, he played for Bayern in the German Super Cup and played for the Swans in the League Cup and Premier League. UEFA has a limit of two clubs per season for players, so even if Sanches were to return to Bayern, he wouldn’t be able to go out on loan elsewhere – something which the Bundesliga side may not be keen on. There is little doubt that the cost of the loan move was significant for Swansea in the first place, so if a deal can be reached, then quite possibly the money saved could be invested elsewhere in the January transfer window to bolster Clement’s clearly under-strength squad.